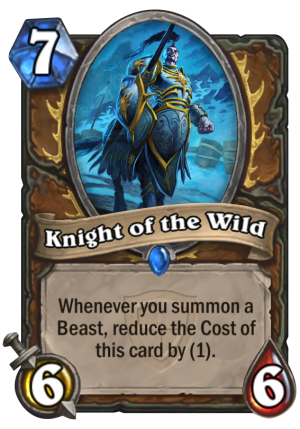 Knight of the Wild is a 7 Mana Cost Rare Druid Minion card from the The Grand Tournament set! 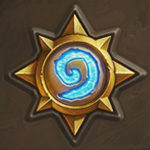 Cards that transform like Druid of the Claw (and turn into Beasts) WILL reduce the cost of Knight of the Wild. This card gives the incentive to not play wild growth, but cheap beast creatures. The problem with that is, that beast and ramp are now concurring archetypes. 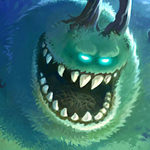 And I don’t see a beast deck, as long as ramp is so storng, mainly due to OP cards like Dr. Boom. Does the effect only work when in hand? or is it ice giant?